Fall may not be in the air just yet, but I already have Halloween on my mind. While I come up with my own festive ideas for decorations, crafts, and recipes, I wanted to share a few great ones I found and added to my must make list. Enjoy, and please feel free to share any great ideas you have! 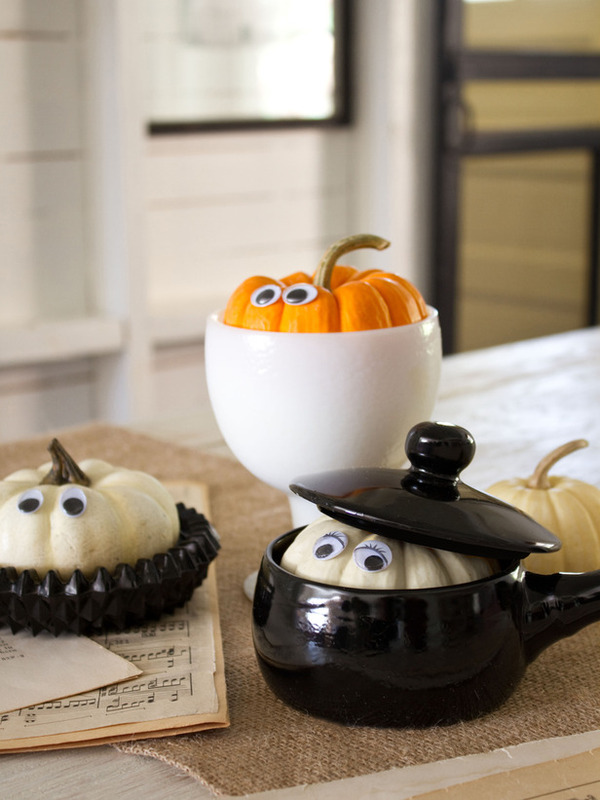 These Peekaboo Pumpkins via hgtv.com are adorable, super easy to make, and I know Sydney would get a kick out of them! 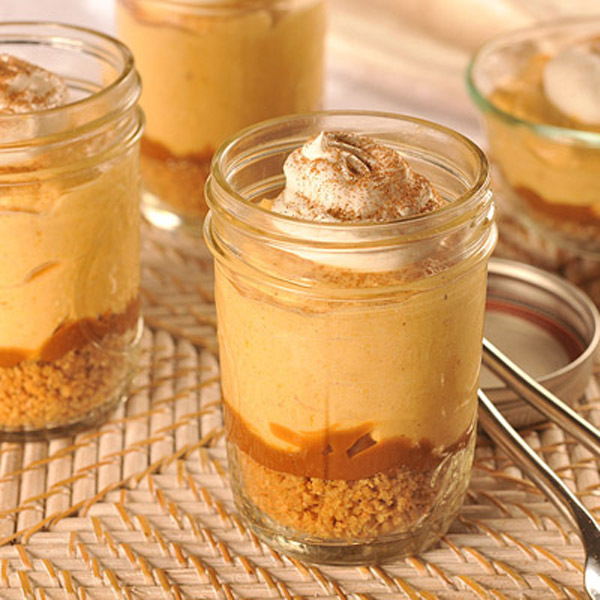 This recipe from Nestle for Pots of Dulce de Leche Pumpkin Cream Pie sounds irresistible. I MUST make this. 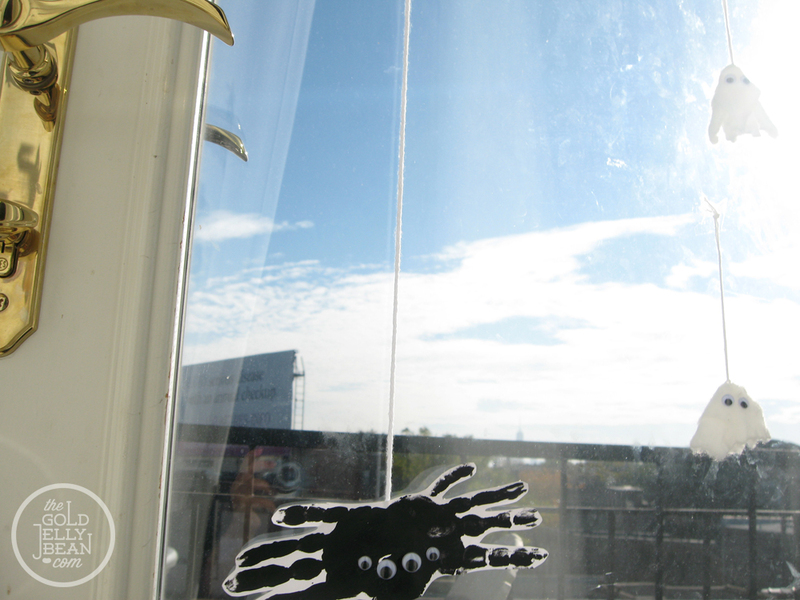 This entry was posted in Holidays and tagged halloween, round up by shaleah. Bookmark the permalink. The peakaboo pumpkins are adorable and the desserts look awesome! Getting excited for Fall!